Flip a coin. If heads, your opponent can't attack Sealy Pie seal on his next turn. The defending Pokémon is now Paralyzed, Burned, and Poisened. 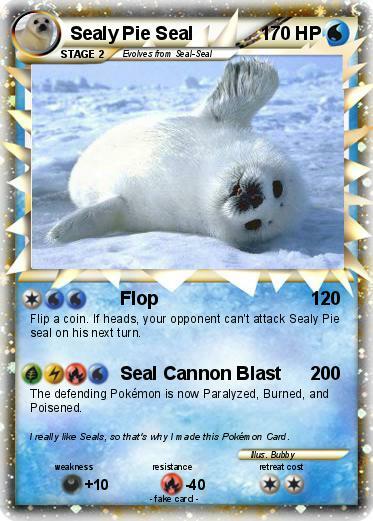 Comments : I really like Seals, so that's why I made this Pokémon Card.